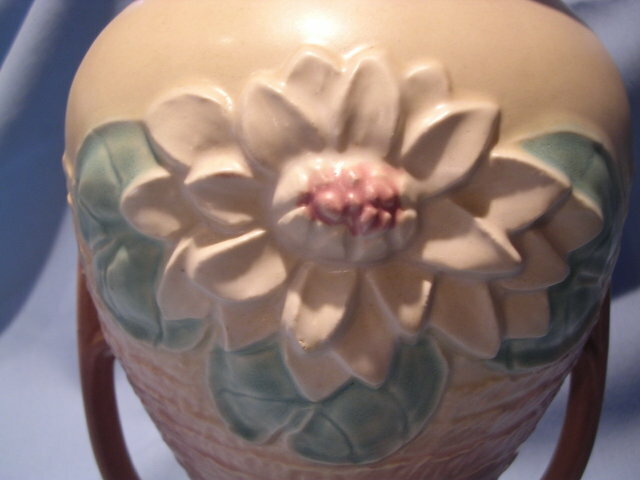 Beautiful Hull Pottery "Water Lily " 10 1/2 inch vase L-13. Made by Hull in 1948. 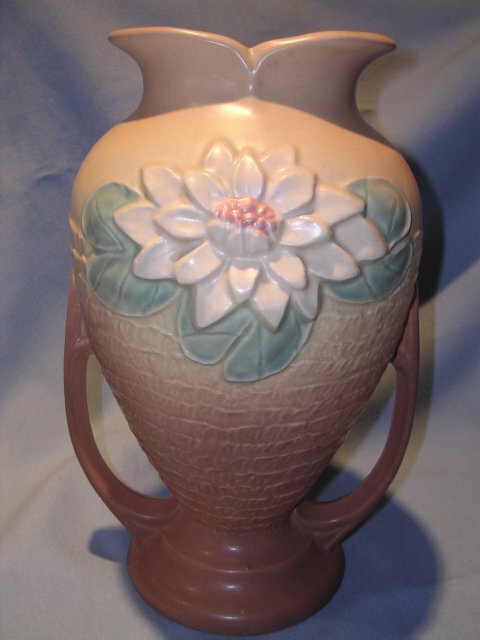 Features a pink base with a white Water Lily, pink center and green, leaves and double handles.Incised in the bottom with Hull-Art USA L-13 10 1/2. In pristine condition. No Chips, cracks, crazing or repairs. See the pictures for further details. Please see our other fine Hull pieces. We gladly wrap multiple purchases together to save you postage. 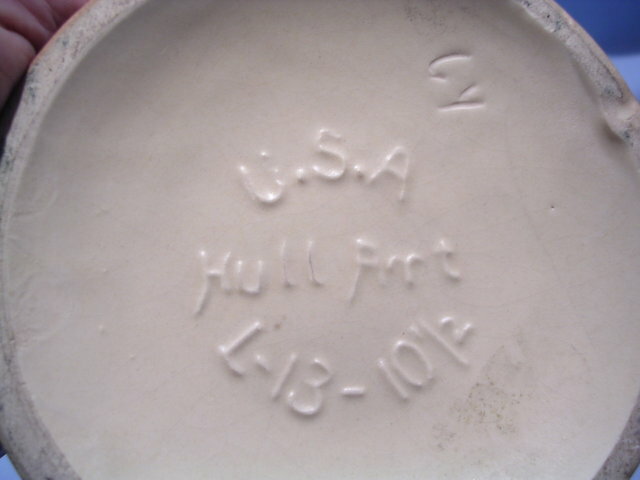 This is an original Hull piece from 1948. 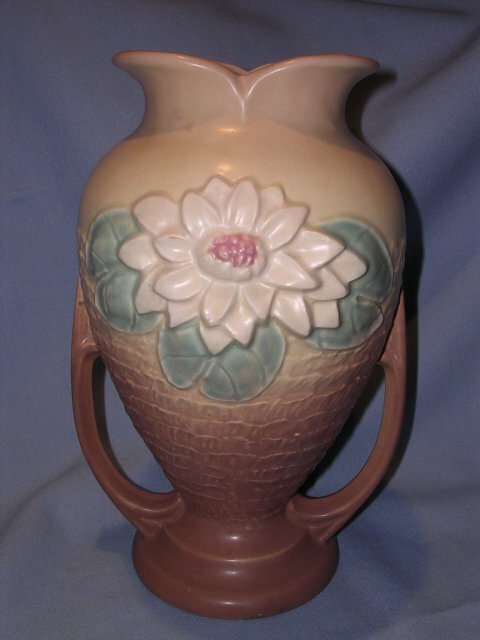 Items Similar To "HULL POTTERY "WATER LILY" VASE L-13"